So I've posted in the past about Color Club's Wild and Willing (read about it here) and how awesome of a layering polish it is. Well today I've layered it over another awesome color, L.A. 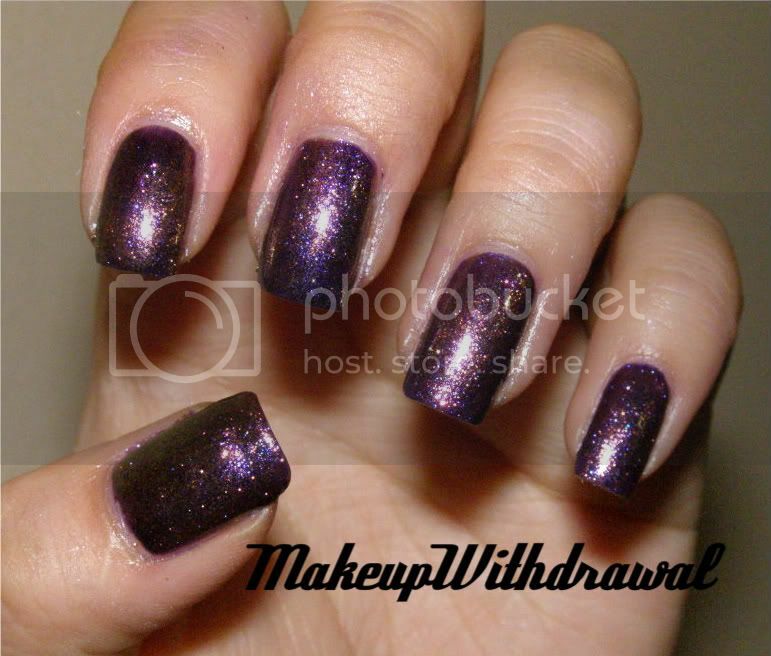 Girl Rockstar's Groupie polish which is a purple fine glitter in a purple gel. Have I showed you this before? No? Well I promise I'll get pictures of it by itself at some point. Anyways, here's Wild and Willing over two coats of Groupie. Kinda weird, right? It just looks like copper and purple shimmer mixed together, kinda bleh. The camera isn't able to capture how pretty is without blurring. Here's a blurred one that gives you a better idea of how it looks. Awesome! 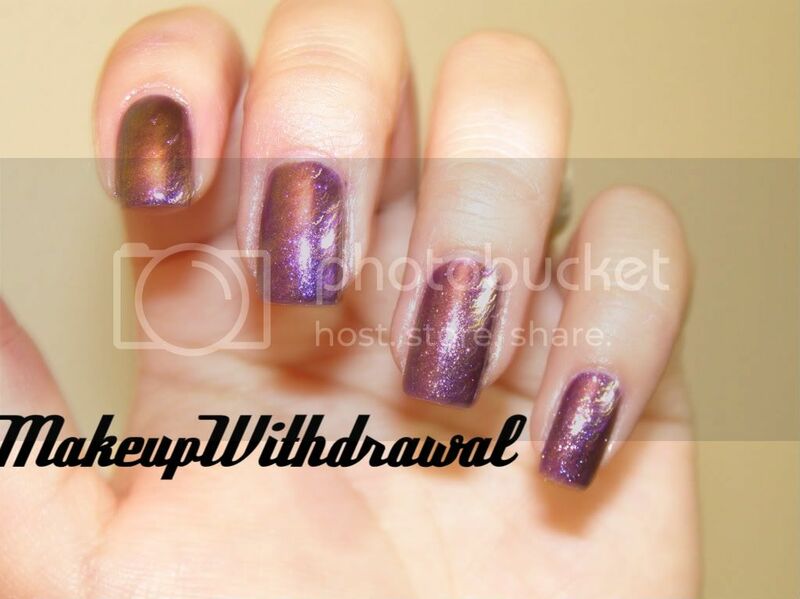 It gives off this purple/copper duochrome look which is really dynamic and complex. Even Mr.MakeupWithdrawal commented on the copper reflection. It's a fantastical combination, I say!